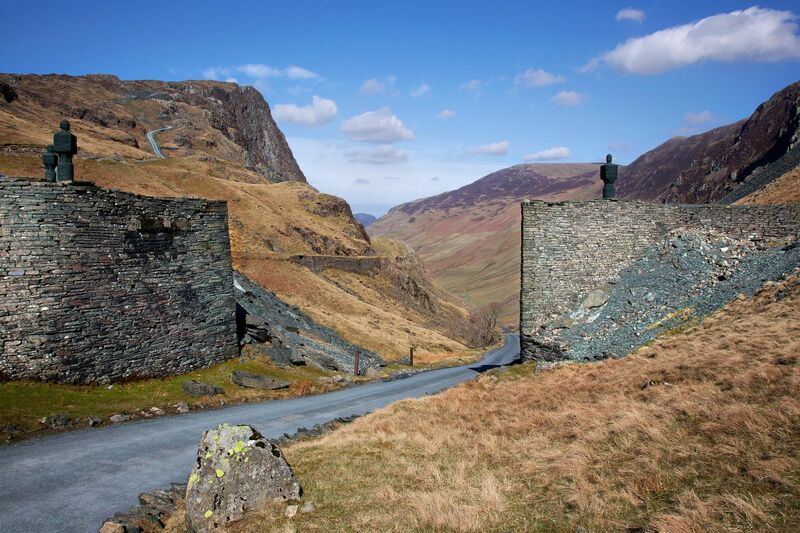 There is a great view down Honister Pass from Honister Slate Mine. The pass starts at Gatesgarth Farm, at the southern end of Buttermere. It connects the Buttermere valley with the eastern end of the Borrowdale valley. With Fleetwith Pike on the left and Honister Crag on the right the view never disappoints.